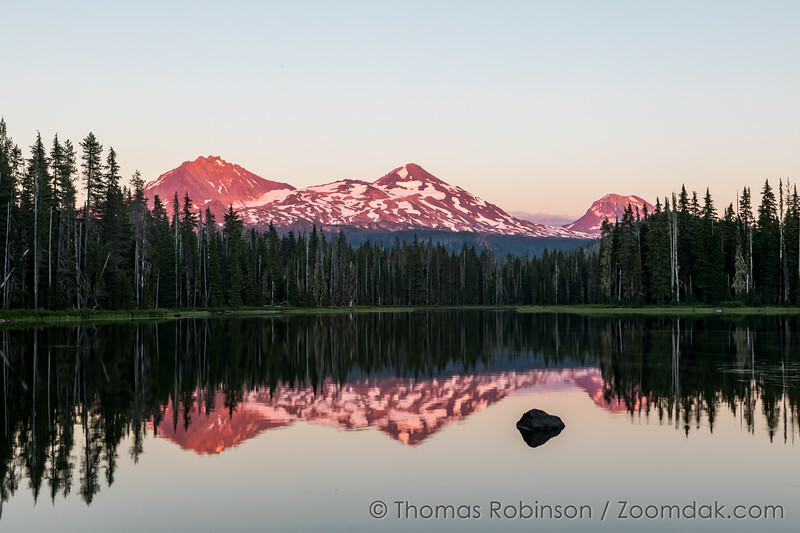 The sunset view from a Scott Lake campsite looking out on the Three Sisters Mountains illuminated by purple alpenglow, one of the hidden treasures of Central Oregon. North Sister stands at 10,090 ft (3,075.3 m). Middle Sister stands at 10,052 ft (3,063.7 m). South Sister stands at 10,363 ft (3,158.5 m).